No. Even assuming it's White's move, Black can force mate in five moves according to the computer. But you don't really need to calculate that much since Black's material advantage is so overwhelming. The only hope would be a stalemate, but it is unlikely. To achieve that, the knight would have to be pinned or lost, but I don't see how you can force that: if it got pinned, Black could just unpin it in the next move if necessary, or simply capture it. Even trading the queen for the knight, the position would still be easily won by Black. Black only needs to make sure that if they take the knight, they don't cause an immediate stalemate (that would be Black's blunder, not something forced by White). It is not possible to force a draw. Even if Black somehow lost both pawns and his rook, the resulting endgame is still won for Black. Black has Rg2, Qh1. The only way that's not checkmate is if white interposes the knight, but then the knight is pinned and can be taken. Not the answer you're looking for? Browse other questions tagged learning endgame or ask your own question. Is this endgame position a theoretical win or draw? Is a King, Rook and Knight vs King and Knight end game generally a win for the player with the rook? 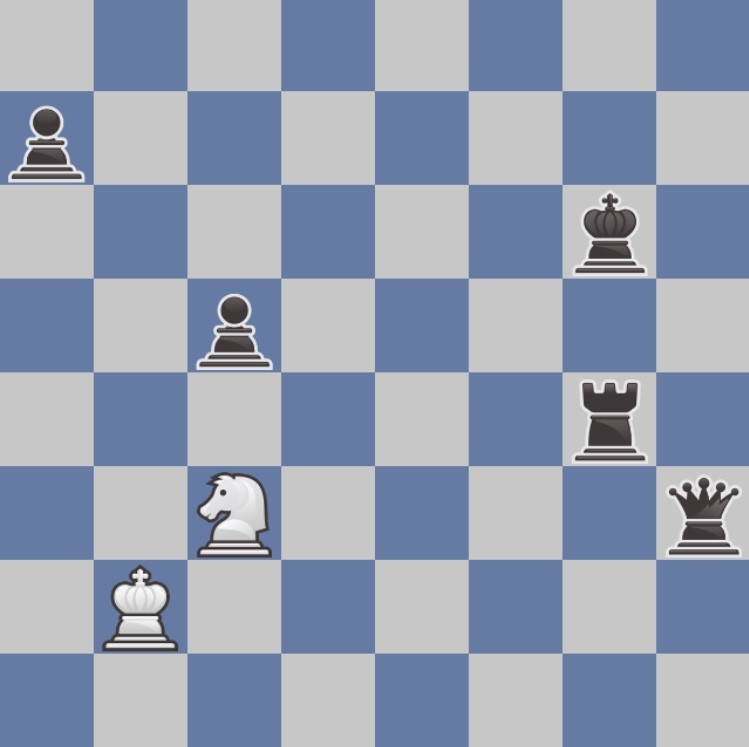 How come this king and knight + rook pawn vs king endgame not drawn?